'No risk, no reward' is my mantra when it comes to playing the Official Fantasy Bundesliga and, while it has blown up in my face once this season, on the whole it's proving a prudent approach. Matchday 3 provided a miserly return of just 56 points, but the lesson I learned from that weekend was that breaking down the fixture list and giving yourself the ability to rotate is key to success in the game. So with the Autumn League offer now live, here's a chance for newbies and old hats alike to learn from my mistakes. Watch: Join the fun - Sign up to the #BLFantasy Autumn League now! I wrote an article before the campaign kicked off about whether a star XI would trump a team of 15, but with just over a quarter of the season played, you don’t need to be a numbers whizz-kid like Matt 'The Expert' Howarth to know that 15 is greater than 11! The size of your squad plays it part, but it’s not my golden rule of squad building. With three free transfers available before every match day and the ability to swap players and your captain during the weekend it’s the order of play that can give you a sizeable advantage. Let's use Matchday 9 as an example. On Friday night, Nico Elvedi was in action so I naturally made him my captain on the off chance he played a blinder. 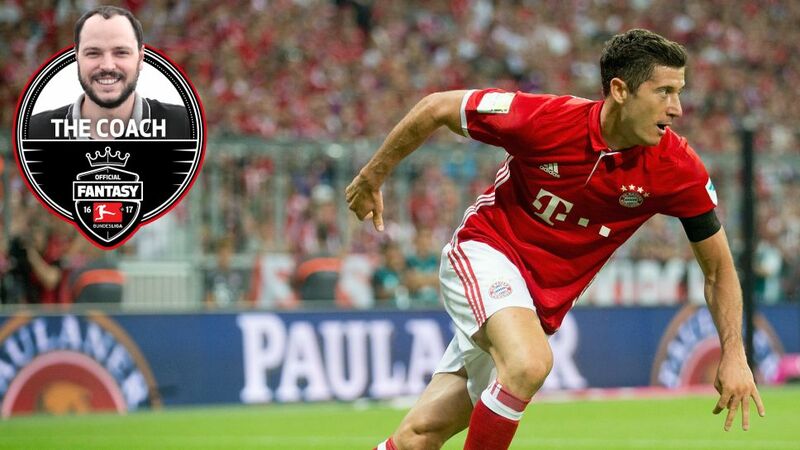 He racked up eight points so the captaincy quickly moved onto Robert Lewandowski for the Saturday afternoon fixtures and that paid off big time! My focus then switched to my midfield - the only other position I could rotate in with my 4-3-3 formation. Naby Keita and Benjamin Henrichs were my lowest-scoring midfielders at that point with eight points, so I threw Julian Weigl on for Henrichs before the Revierderby kicked off. Weigl only picked up six points, but fortunately I had Kerem Demirbay, who matched Henrichs return of eight points, waiting in the wings on Sunday.